Facebook celebrated its tenth anniversary in February. It has over 1.2 billion active users — equating to one user for every seven people worldwide. This social networking phenomenon has not only given our society a new way of sharing information with others; it’s changed the way we think about “liking” and “friending.” Actually, “friending” was not even considered a proper word until Facebook popularized its use. Traditionally, a friend is not just a person one knows, but a person with whom one shares personal affection, connection, trust, and familiarity. Under Facebook-speak, friending is simply the act of attaching a person to a contact list on the social networking website. One does not have to like, trust, or even know people in order to friend them. The purpose of friending is to connect people interested in sharing information. Some people friend only “traditional friends.” Others friend people on Facebook who are “mere acquaintances,” business associates, and even people with whom they have no prior relationship. On Facebook, “liking” is supposed to indicate that the person enjoys or is partial to the story, photo, or other content that someone has posted on Facebook. One does not have to be a friend to like someone’s content, and one may also like content on other websites. Unbeknown to many Facebook users is how Facebook and other websites gather and use information about people’s friending and liking behaviors. For instance, the data gathered by Facebook is used to help determine which advertisements a particular user sees. Although Facebook does have some privacy protection features, many people do not use them, meaning that they are sharing private information with anyone who has access to the Internet. Even if a person tries to restrict information to “friends,” there are no provisions to ensure that the friends to not share the information with others, posting information in publically accessible places or simply sharing information in a good, old-fashioned manner – oral gossip. So, given what we know (and perhaps don’t know) about liking and friending, should social workers like their clients, encourage clients to like them, or friend their clients? 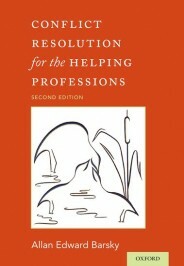 When considering the use of online social networking, social workers need to consider their ethical duties with respect to their primary commitment to clients, their duty to maintain appropriate professional boundaries, and their duty to protect confidential client information (NASW, Code of Ethics, 2008, Standards 1.01, 1.06, and 1.07). Allow me to begin with the actual situation that instigated my thinking about these issues. Recently, I saw a social worker’s Facebook page advertising her services. She encouraged potential clients to become friends and to like her. She offered a 10% discount in counseling fees for clients who liked her. What could possibly be a problem with providing clients with this sort of discount? The worker was providing clients with a benefit, and all they had to do was like her… they didn’t even have to become her friend. In terms of 1.01, the social worker should ask herself whether she was acting in a way that promoted client interests, or whether she was primarily promoting her own interests. If her decision to offer discounts was purely a decision to promote profits (her interests), then she may be taking advantage (perhaps unintentionally) of her clients. If her clients were receiving benefits that outweighed the costs and risks, then she may be in a better position to justify the requests for friends and likes. 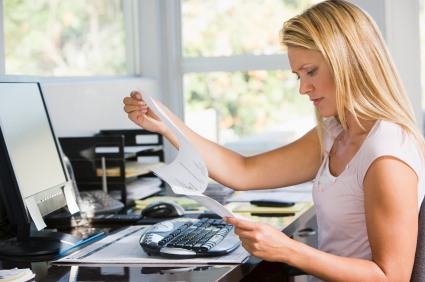 Woman in home office with computer and paperwork frowning. © monkeybusinessimages via iStockphoto. Confidentiality presents perhaps the most difficult issues when it comes to liking and friending. When a client likes a social worker who specializes in gambling addiction, for instance, does the client know that he may start receiving advertisements for gambling treatment services… or perhaps for casinos, gambling websites, or racetracks? Who knows what other businesses might be harvesting online information about the client. “OMG!” Further, does the client realize that the client’s Facebook friends will know the client likes the social worker? Although the client is not explicitly stating he is a client, others may draw this conclusion – and remember, these “others” are not necessarily restricted to the client’s trusted confidantes. They may include co-workers, neighbors, future employers, or others who may not hold the client’s best interests to heart. One could say it’s a matter of consent – the worker is not forcing the client to like her, so liking is really an expression of the client’s free will. All sorts of businesses offer perks to people who like or friend them. Shouldn’t clients be allowed to pursue a discount as long as they know the risks? Hmmm… do they know the actual risks? Do they know that what seems like an innocuous act – liking – may have severe consequences one day? Consider, is it truly an expression of free will if the worker is using a financial incentive – particularly if clients have very limited income and means to pay for services? Further, young children and people with dementia or other mental conditions may not have the capacity to understand the risks and make truly informed choices. Digital natives (people born into the digital age) might say these are the ramblings of an old curmudgeon (ok, they probably woudn’t use the term curmudgeon). When considering the ethicality of social work behaviors, we need to consider context. The context of Facebook, for instance, includes a culture where sharing seems to be valued much more than privacy. Many digital natives share intimate details of their life without grave concerns about their confidentiality. They have not experienced negative repercussions from posting details about their intimate relationships, break-ups, triumphs, challenges, and even embarrassments. They may not view liking a social worker’s website any riskier than liking their favorite ice cream parlor. So, to a large segment of Facebook users, is this whole issue much ado about nothing? In the context of Internet risks, there are far more severe concerns than social workers asking clients to like them on Facebook. Graver Internet risks include cyber-bulling, identity theft, and hacking into national defense, financial institutions, and other important systems that are vulnerable to cyber-terrorism. Still, social workers should be cautious about asking clients to like them… on Facebook or otherwise. The Internet offers social workers many different approaches to communicating with clients. Online communication should not be feared. On the other hand, social workers should consider all potential risks and benefits before making use of a particular online communication strategy. Social work and many other helping professions are still grappling with the ethicality of various online communication strategies with clients. What is hugely popular now – including Facebook – may continue to grow in popularity. However, with time and experience, significant risks may be exposed. Some technologies may lose popularity, and others may take their place. Headline image credit: Internet icons and symbols. Public domain via Pixabay. Allan Barsky, JD, MSW, PhD is Professor of Social Work at Florida Atlantic University and a family mediator accredited by the Supreme Court of Florida. Dr. Barsky is a past-president of Ontario Association of Family Mediation and former board member of Family Mediation Canada. He has presented at national and international conferences, including those of Association of Family and Conciliation Courts and Association for Conflict Resolution. He is the author of Conflict Resolution for the Helping Professions, Ethics and Values in Social Work, and Social Workers' Desk Reference.